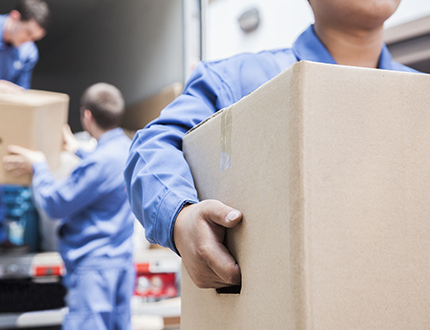 Moving is without a doubt one of the most time-consuming projects any homeowner can take on. Packing up your house is one thing, but also finding the time to look for a moving company can just become too much. By that time, many would just select the first option that pops up and not bother to invest in some extra research. Moving can be complicated and time consuming, but when done right it’s very easy! This can be a disastrous mistake in the event your precious home items could be damaged, lost or stolen because of the carelessness of the moving company. To ensure that the moving company you choose is right for you, here are tips to make the researching process less strenuous. Ask around the neighborhood or friends on social media who they would recommend to you. This will give you a head start on finding names of companies and the type of service they provide. Don’t base your decision solely on what your friends say, but having their input will allow you to have ideas but still have time to do research. If you think you found the perfect company just by choosing the first result on Google, you might want to rethink your choice. During the research process, you will want to have at least three suitable companies in mind. This will allow you to make comparisons on pricing, customer review, and the company itself. Every interstate mover are issued a DOT number by the U.S. Department of Transportation Federal Motor Safety Administration. To double check their claims of being insured and licensed are valid, request the DOT number from this address. You can search for out of state or local. You can get these free online through their website, and it will help you set aside the credible companies from the phonies! These records will show ratings and all of the companies tracked history, allowing for nothing to be left out.